Professor Paul Coulthard has been Dean of Manchester Dental School since 2013. He is Professor of Oral and Maxillofacial Surgeryand Consultant in Oral Surgery at Central Manchester University Hospitals NHS Foundation Trust where he undertakes adult and paediatric Oral Surgery. He has a special interest in advanced surgical oral implantology and undertakes oral and maxillofacial reconstruction especially using bone grafting and extra-oral harvesting techniques. He has a special interest in the Control of Pain and Anxiety and especially the use of Conscious Sedation techniques. Professor Coulthard undertook General Clinical Training as a General Dental Practitioner in Manchester and Sheffield. He then undertook Basic Surgical Training in Manchester, Carlisle and London, and also training in Anaesthesia. He completed his Higher Specialist Surgical Training in Academic Oral and Maxillofacial Surgery in Manchester in 2000. Professor Coulthard was promoted to Senior Lecturer and Head of Department in 2000, Honorary Consultant in 2001, and Personal Chair in 2004. 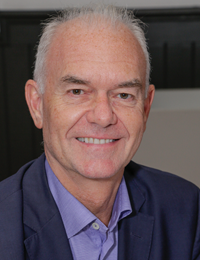 Alongside surgical training, Professor Coulthard undertook research training leading to the award of an MDS in Oral and Maxillofacial Surgery and a PhD in Neuroscience. He is an Editor with the Cochrane Collaboration Oral Health Group, Editor-in-Chief of Oral Surgery and is on the Editorial Board of the International Journal of Surgery and Chinese Journal for Clinicians. He has a special interest in the Control of Pain and Anxiety and Dental Implantology and has published over 170 scientific papers. The aim of this research is to advance knowledge and improve the quality of patient care by drug development, critical evaluation of clinical practice, undertaking randomised controlled trials, and the preparation and dissemination of best evidence for clinicians. He designed, introduced and validated the Indicator of Sedation Need (IOSN) tool to support clinician decision making that is also being used by commissioners to identify patients in their populations who need conscious sedation for dental treatment in order to plan and deliver appropriate sedation services. He has a research grant income in excess of £2M. Professor Coulthard is actively involved in undergraduate and postgraduate teaching and learning. He is passionate about evidence-based practice and teaching this concept to students. The third edition of his textbook Oral and Maxillofacial Surgery, Radiology, Pathology and Oral Medicine (Master Dentistry Volume 1) was published in May 2013. Professor Coulthard has also co-authored chapters for six other textbooks and has many scientific publications relating to teaching and learning. Professor Coulthard has held many examinerships over the years at institutions across the UK. He is currently external examiner at Glasgow University and is the Royal College of Surgeons of England nominated member of the Intercollegiate Examination Board in Oral Surgery. Professor Coulthard Chaired the Oral Surgery and Oral and Maxillofacial Surgery Commissioning Guide Working Group for NHS England responsible for developing a needs led outcome focussed Care Pathway and producing a single operating Commissioning Framework to deliver improvements in quality and clinical outcomes. He is currently Chair of the Steering Group developing the Commissioning Guide for Supporting Specialties of Oral Microbiology, Oral and Maxillofacial Pathology and Dental and Maxillofacial Radiology.